With one third of Americans suffering from some type of chronic pain, it is important to receive treatment from the top Seattle pain management doctors for the best chance of relief and avoiding surgery. Only physicians who keep up with the latest, state of the art treatments will be able to help over 90% of patients achieve treatment success. 1) Radiofrequency Ablation: This treatment for chronic neck and back pain is outpatient, low risk and can provider 12 to 18 months of consistent relief. The Seattle pain management doctor essentially thermally ablates the tiny sensory nerves that supply the arthritic joints. They are only sensory nerves, not motor. If the pain returns after a time, the Seattle pain doctor can simply repeat the treatment and obtain a similarly effective outcome. 2) Spinal Cord Stimulator Implants: For those who have failed back or neck surgery, a spinal cord stimulator implant may be the best option. Also, individuals who have severe diabetic neuropathy or postherpetic neuropathy may benefit, along with RSD and phantom limb syndrome. Over 75% of those receiving a spinal cord stimulator implant are satisfied with the treatment! 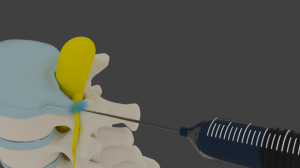 steroid injection, and involves the pain management doctor in Seattle placing the steroid medication at the exact point where the nerve root is being pinched. Outcomes with the transforaminal epidurals have been excellent, over 75% good to excellent. They may be performed as a series of three over 6 weeks, then repeated every few months as necessary. 4) Occipital and Botox Injections: For individuals with chronic migraine headaches, life can be very tenuous. Occipital blocks and Botox injections have been amazing treatments for reducing both the frequency and severity of migraines. The injections may need to be repeated every so often for optimal results. 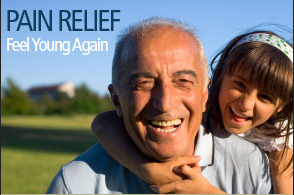 Seattle Pain Relief offers all of these treatments with a Double Board Certified physician. Over 25 treatment options are available, with the therapies being customized to each person’s needs. The pain clinic in Federal Way sees patients from a broad area including Seattle metro and Tacoma too. Call (855) WASH-PAIN for the top pain management Seattle trusts and respects!